news The Tasmanian Government has flagged plans to overhaul its dated whole of government human resources and payroll systems, in a move which will affect some 28,000 employees and may see the state shift its systems into a cloud computing/software as a service model. According to tender documents released this month and first revealed by Intermedium, most of the state’s departments and agencies currently use the same underlying payroll technology (in different implementations), and have done so for almost two decades. The ten different platforms service some 28,000 employees across 43 awards and agreements and pay out around a billion dollars every year. However, the Tasmanian Government noted in its tender documents, the platform had become difficult to manage. With all of this in mind, the state has gone to market seeking an independent consultant to undertake several studies to assess its current situation ad to general a detailed roadmap for the future of its payroll systems over the next decade, aiming both to make the most effective improvements with minimal cost and/or maximum return, but also to learn from the experiences of other government jurisdictions. Traditionally, payroll systems have largely been hosted in-house by major government departments, but one of the aspects which Tasmania will examine will be the consideration of a move to “a more contemporary environment (software as a service or cloud environment)” in order to help deliver efficiencies to the state. The state wants to sign up a consultant to examine its situation and have its reports and detailed proposed roadmap delivered by late June this year – which gives the successful consultant very little time to examine the state’s systems. 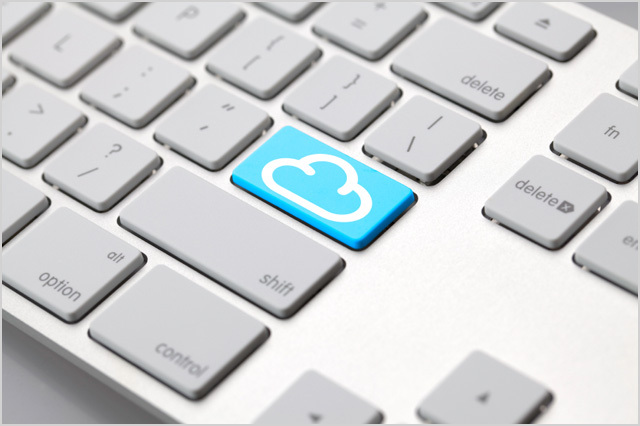 The news comes as governments around Australia are increasingly examining the case to shift to cloud-based technology solutions in an effort to make their IT operations more effective and efficient. In early December last year, for example, the New South Wales Government added to early signs that it is moving to adopt the kind of ‘cloud-first’ IT procurement strategy which jurisdictions such as the United States, United Kingdom and New Zealand have pursued over the past several years, in a move which could fundamentally change the way the state buys and uses technology. And earlier in 2012, several major New South Wales Government agencies, the Department of Trade and Investment and Transport for NSW unveiled major and wide-ranging plans to imminently purchase Software as a Service-style IT solutions, detailing the new interest in the cloud computing paradigm through tender initiatives kicked off at the time. In Queensland, the state’s new LNP administration has publicly canvassed the idea of shifting its failed whole of government email consolidation project into the cloud. However, it also remains true that payroll consolidation projects are fraught with danger for state governments. A KMPG audit into Queensland Health’s payroll disaster – which resulted in tens of thousands of public servants going without pay while others were overpaid — found the project has already cost $417 million and will need some $837 million to fix over the next five years, and the Queensland Government has opened a royal commission into the issue. Wow, has Tasmania ever opened a can of worms. If I was a state government right now, I would be extremely, extremely, EXTREMELY leary of kicking off any kind of huge HR/payroll systems consolidation/upgrade project, considering what happened in Queensland with the Health payroll systems upgrade, and considering that there are also more minor problems in several other jurisdictions around Australia. However, the Tasmanian Government does have a good history in general when it comes to technology. TMD, the centralised government IT strategy agency down south, does have its head screwed on well most of the time, and it’s been a while since we’ve seen the same kind of IT disasters in Tasmania (at least publicly, they might be going on behind the scenes) as we’ve seen in most of the other states, notably Queensland and Victoria, neither of which appears to be able to do anything right when it comes to IT projects or service delivery right now. If the Tasmanian Government does pick a cloud-based HR/payroll system, it will be fascinating to see how it’s delivered. And I have no doubt that such an implementation would be very closely watched by other government departments around Australia, and quite possibly used as a template, if it was successful. Certainly nobody would want to use Queensland Health’s payroll systems upgrade as a template, unless it was a template for how to get your Premier and his cabinet to lose the next election. In Tassie “The Cloud” means different things – for the most part it uses it as a panacea of making things easier as they can’t successfully manage any of the systems or infrastructure they are in control of now…..Case in point another complete power failure at the TMD data centre last night. For 9 to 5 public servants payroll – not too much of a challenge. However – for shift workers/penalty heavy jobs such as police or nursing I can see a complete and utter disaster coming.